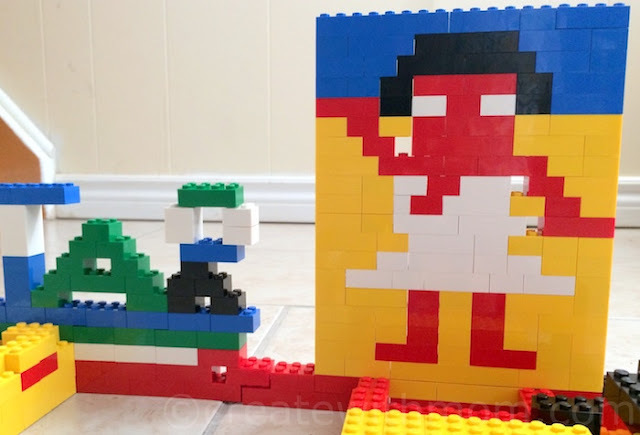 My son has been using Lego bricks to come up with a variety of picture designs. He has been exploring Lego Technic and finds it interesting. 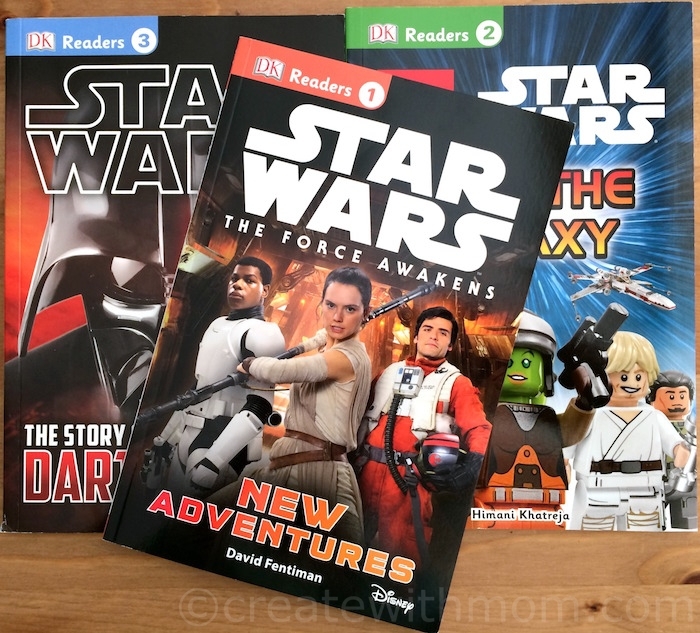 My children have been reading Lego and Star Wars inspired DK readers such as Death Star Battles, The Story of Darth Vader; I like that these readers encourage them to be engaged reading. LEGO Star Wars The Dark Side takes the reader on a journey to meet the LEGO® Star Wars minifigure members such as Darth Vader battling Obi-Wan Kenobi and Luke Skywalker, the Sith and all of Darth Vader's minifigure subjects, the Death Star and all of the Sith starships. There are facts and information about the LEGO Star Wars minifigures and vehicles from the dark side in action-packed situations. 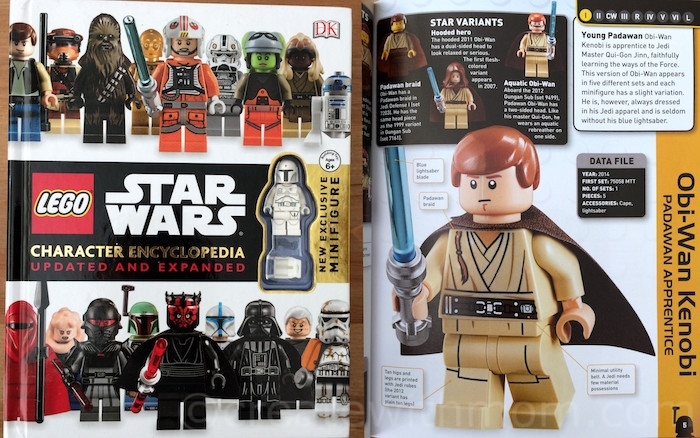 This book includes an exclusive minifigure that fans would want to own. The fully revised and updated edition of LEGO® Star Wars®: The Visual Dictionary shows all of the new sets and innovations from LEGO® Star Wars®. 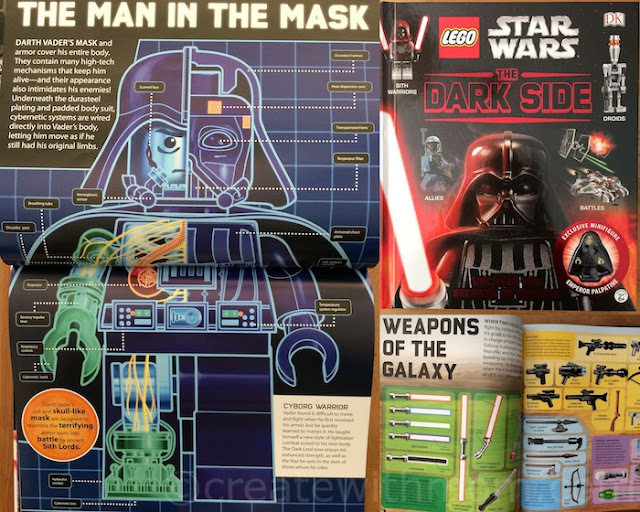 It includes detailed and annotated photography giving insight into the characters, locations, creatures, and spacecraft of the LEGO galaxy far, far away. Fans of all ages will learn about every LEGO Star Wars set released while exploring the updated cross sections that expose the inner workings of larger-piece sets such as the Death Star or Millennium Falcon. The updated "Beyond the Bricks" chapter goes behind-the-scenes to take a look at how LEGO sets are made, new models, plus fun fan creations. It also includes an exclusive LEGO Star Wars minifigure. DK's LEGO® Star Wars® Character Encyclopedia: Updated and Expanded includes all LEGO Star Wars minifigures. We will be able to discover LEGO Star Wars facts, such as which minifigure is the rarest and which can be found in the most LEGO sets. This updated and expanded edition includes an exclusive minifigure to add to our collection. 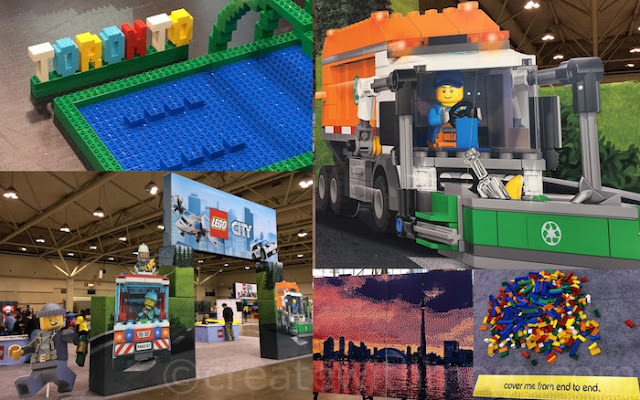 So many neat things you can build with Lego. These look like great books. Lego is awesome, such a timeless toy. I love that there are these books out now to help inspire and give ideas! Looks awesome. My children love Lego and love Star Wars. My grandson is a huge Star Wars fan and the only thing on his Wish List for Christmas is LEGO. He would really enjoy this book. My seven loved their Lego and some still do. My grandchildren are big fans too so this would be a great book for them as Star Wars is another big hit with them (and their dad!). 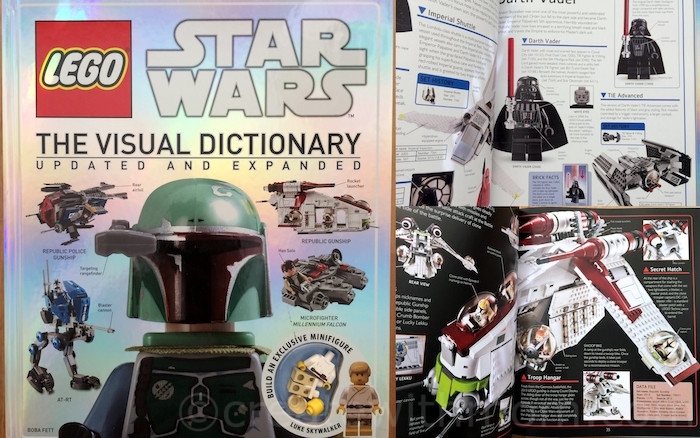 we have the Star Wars visual dictionary and they LOVE it! My grandson has gone to a Lego tour, to Legoland and has a few of these books. Lego books are great as all my grandkids love playing with Lego! I'm not a big Star War fan, but Lego is super awesome!! A book about LEGO and Star Wars - great combination! My son is a big Lego fan! Oh gosh my kids would have loved to have gone to a LEGO tour, and they would love these books - LEGO is the number 1 gift on their Christmas wish lists this year. Luckily I was able to snag a great set yesterday on a big sale, and then I found a set of 10 "building ideas" books at Costco, so they will have hours of fun creating stuff after Christmas. Love it!! So many things to do with Lego! DK has the best books,i love them and my grandkids would love these.